DUI accident claims in California happen with frequency. 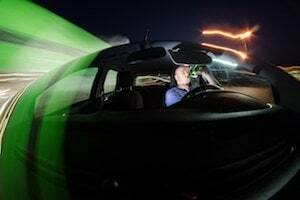 In fact, according to the CA Department of Alcohol and Drug Programs, the number of crash injuries involving alcohol has averaged between 10 and 12 percent for the past several years and drivers aged 21 to 24 years comprise 35% of the persons arrested for driving with a blood alcohol content (BAC) of .08 or higher and males are more likely to drive drunk than females. How Do Alcohol or Drugs Affect one’s Ability to Operate a Motor Vehicle? The average BAC of a DUI offender is .15 percent. As little as .02 percent has been shown to affect motor skills required for driving and the probability of a motor vehicle incident increases from .o5 percent and significantly increases at rates higher than .08 percent, which is the legal limit for adults 21 or older in the Golden State. Likewise, drugs like marijuana, heroin and opiates such as Vicodin or Oxycontin severely impact the capacity to vehiculate by impairing the sensory perceptions of the operator including delay in perception reaction time. What is the Legal Definition of Driving Under the Influence Under the CA Vehicle Code? Vehicle Code section 23152 states that it is unlawful for any person to drive an automobile, bus, van, truck, RV, motorcycle (or even a bicycle) after consuming any illicit narcotics or a measurable amount of beer, liquor or wine. The BAC limit is .08 by weight if the driver is 21 or older and less if they are under age. This limit is lowered to .04 percent for commercial drivers such as truck operators, taxi cabbies and chauffeurs. How Does a DUI Affect a Civil Claim for Personal Injuries? In addition to criminal prosecution, one may be subject to a lawsuit for recovery of money damages for being DUI and causing bodily harm and property damage. As a further consequence, the California Supreme Court has held that punitive (or damages meant to punish) are recoverable from an intoxicated automobile driver, because the person who voluntarily drinks or does drugs knowing they will drive demonstrates a conscious and deliberate disregard of the safety of other persons. (See Taylor v. Superior Court (1979) 24 Cal.3d 890, 892). In addition, the owner of the vehicle may be liable for negligent entrustment of their vehicle if they knew or had reason to know that they were allowing an intoxicated person to operate the car. This includes employer liability for accidents involving drunk or high employee under Cal. Civil Code section 3333.7.